My brother in Denmark has really embraced vintage pocket watches and has generously passed some great ones on to me. 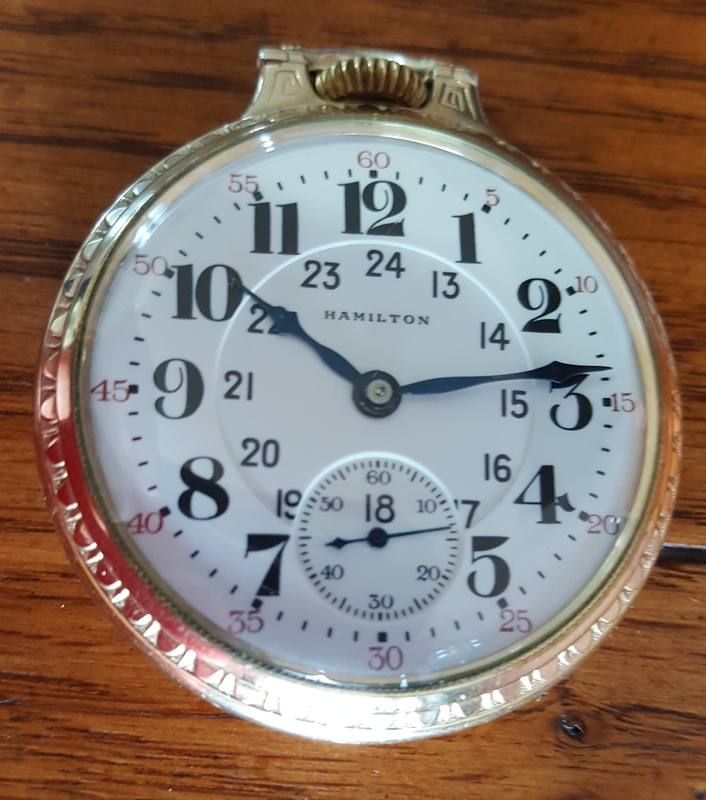 Yesterday I received a surprise package in the mail containing this Hamilton 992 Canadian dial. Naturally it needs a cleaning/servicing. Last edited by East Bay Rider; 09-15-2018 at 03:12 PM..
Last edited by East Bay Rider; 09-22-2018 at 09:52 PM..
And what a nice surprise to have show up. If he has any others he can send one my way, I wouldn't mind. 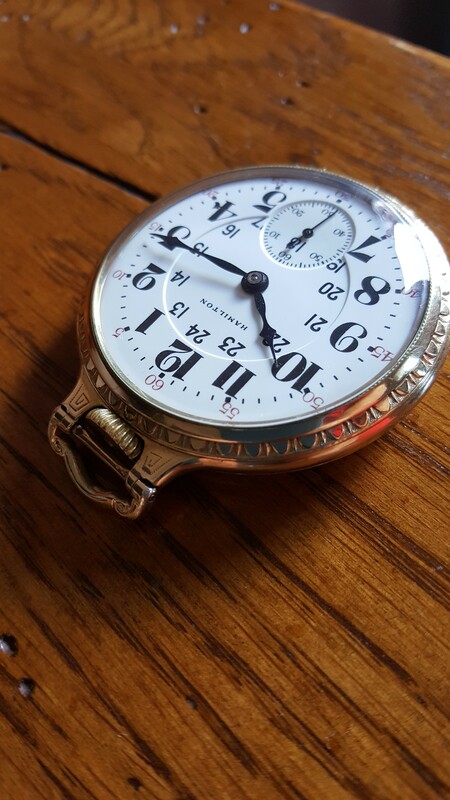 Half the fun of vintage pocket watches is looking for vintage watch fobs that can pair with them. Putting them on a steel chain is questionable taste in fashion. What is a vintage watch fob? And here I thought it was just a chain. Learned something new! Some of them are just that, albeit decorative . Some are just satin ribbon attached to pendants with a clip to hold the watch. The ribbon and pendant would hang out of the vest pocket. I have an antique tapered chain in silver that can be worn with a vest but I need too get something that'll clip on a belt loop. 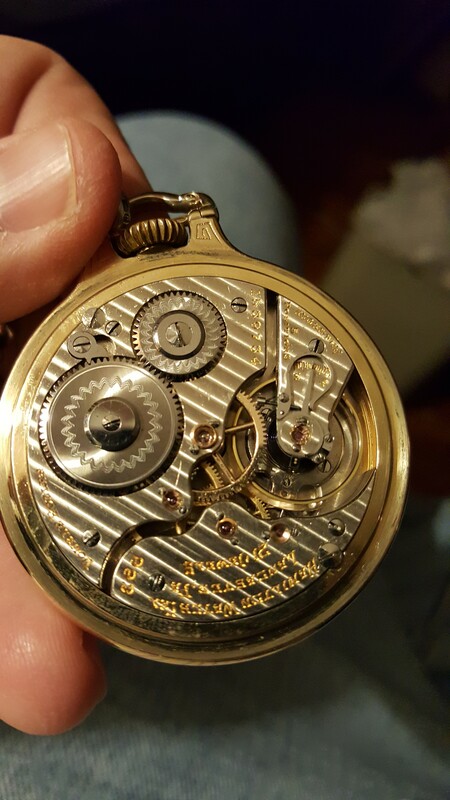 Have to admit, the finer points of the pocket watch world are totally foreign to me. I just think they're cool and would love to see them make a real comeback. Also relatively inexpensive for some top notch quality stuff compared to quality wristwatches. They are pretty cool and I would love to see them make a real comeback also. Sad to say however I think wristwatches are going to go by the wayside soon enough. I bought a few braided kangaroo leather pocket watch lanyards in favor of chains. Since railroad watches don't have covers over the crystal they would be susceptible to scratching if used on a chain. The leather makes daily use possible without exposing the watch to damage inside one's pocket. According to the interweb, kangaroo leather is 10x stronger than cow.